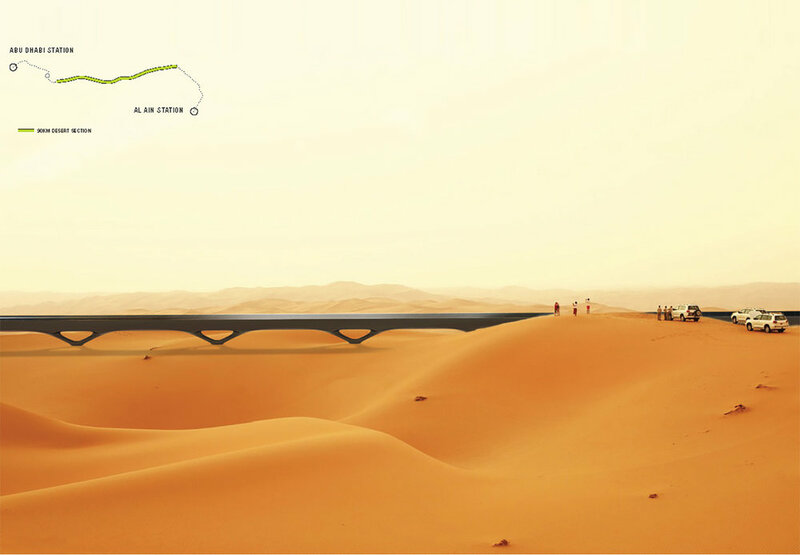 Designed in collaboration with Hyperloop Transportation Technologies, we pitched this new infrastructure as an alternative mode of transportation from Abu Dhabi to Al Ain. 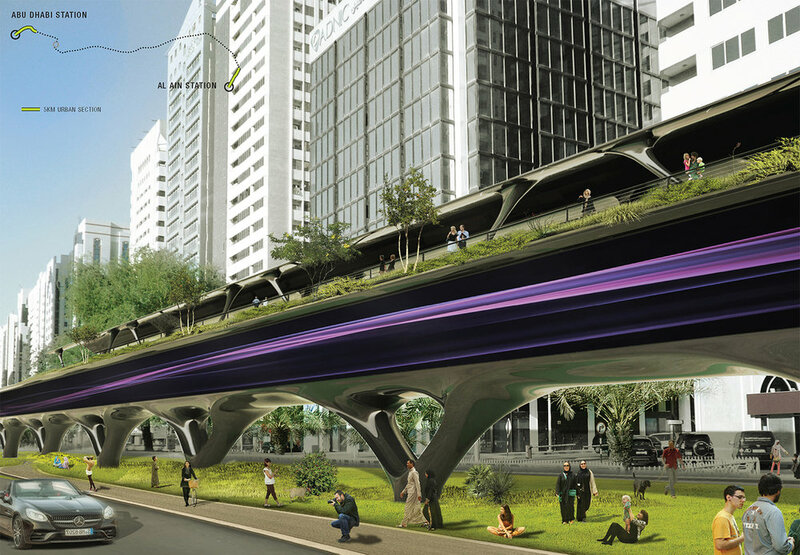 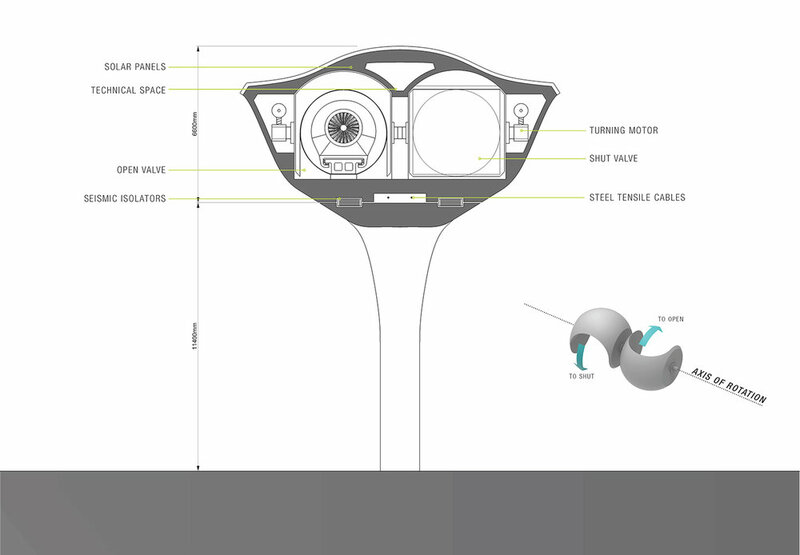 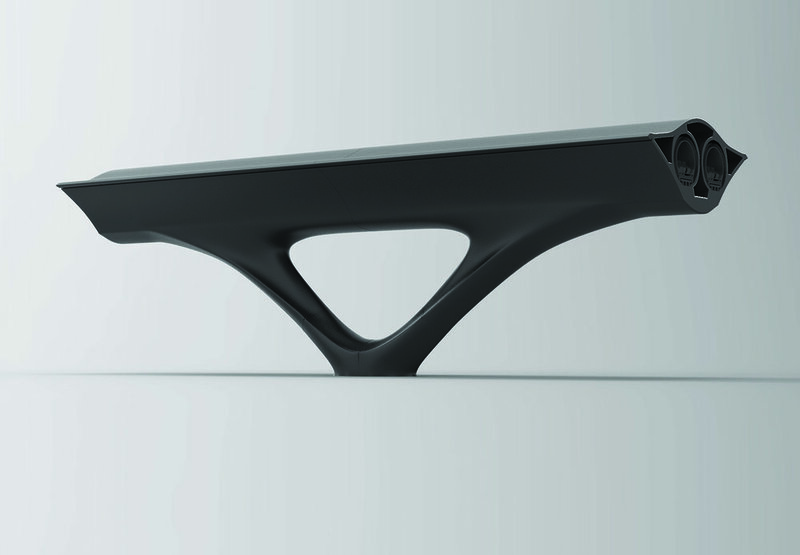 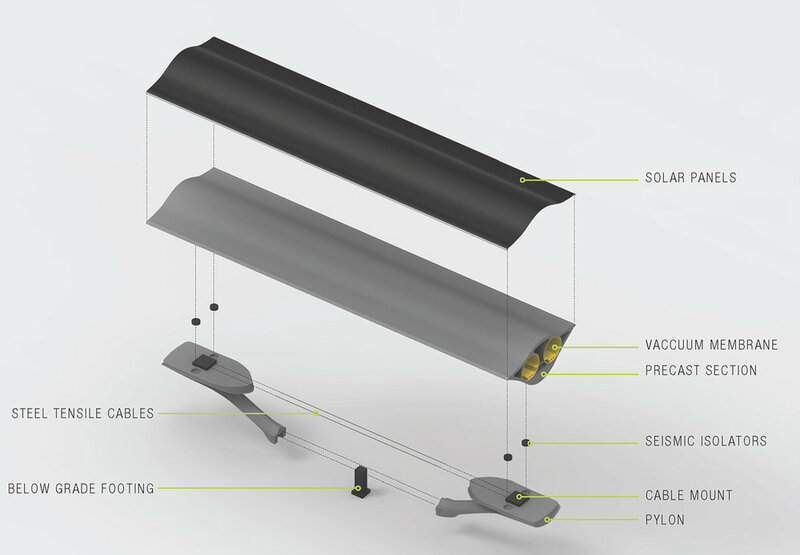 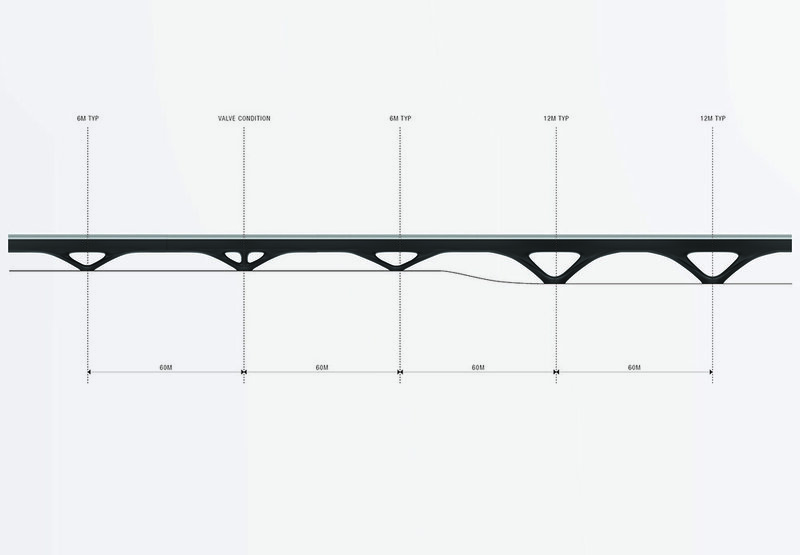 We worked with engineers to design a sleek pylon and shell to house the Hyperloop tubes. 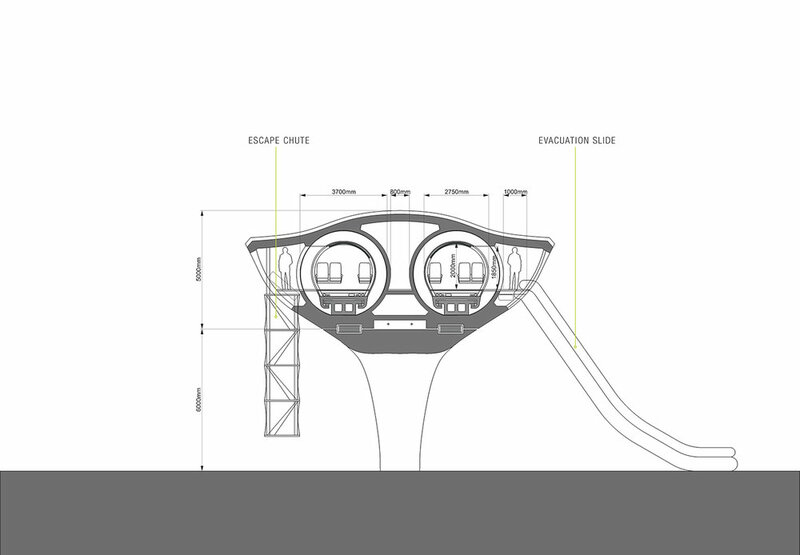 In addition, we studied additional functions to integrate into urban environments and explored various egress strategies. 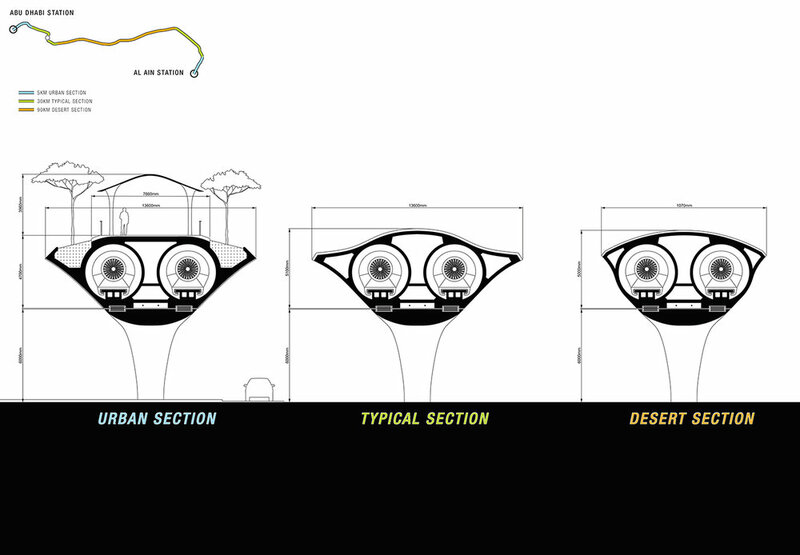 Since the design traversed both city and desert, we designed sections of low population density to be more cost-conscious.